It’s no exaggeration to say that Nightmares On Wax’s work is synonymous with a place in time. It is a place individual to those who have savoured his popular brand of sun-drenched dubbed out soul, where fragments of hazy memories, halcyon days and past snapshots encapsulate a generation’s sofa sojourning. 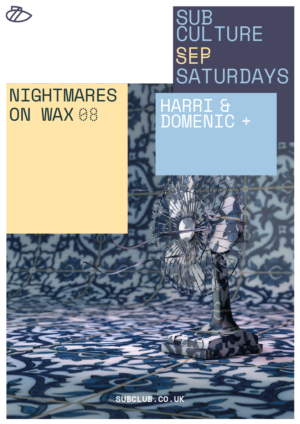 Nightmares On Wax’s historical career spans that of a similar timescale of Sub Club, with the club opening in 1987 two years before Nightmares On Wax dropped their debut single ‘Dexterous’ in 1989. It’s safe to say that a lot can happen in the space of nearly three decades. 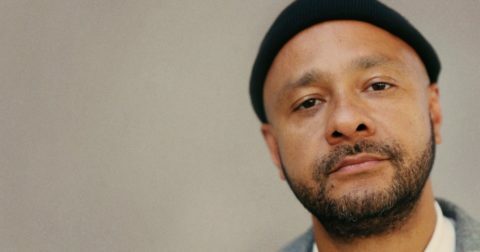 After countless direction and line-up configurations, Nightmares On Wax belongs solely to founder George Evelyn – a man who can reportedly ‘bottle sunshine’. With the N.O.W sound deep-rooted in hip-hop, Evelyn uses those roots as a base to traverse a wide range of music styles including electronica, disco, soul, house and afrobeat.